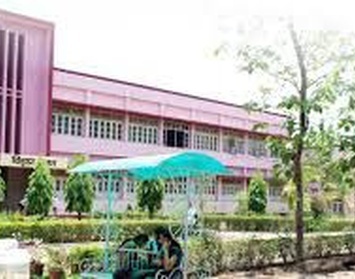 Hawabagh Womens College Jabalpur, Madhya Pradesh,Admission, Courses, Fees, Photos and Campus Video, Review, Ranking Details. administrative blocks, assembly hall, library, gymnasium, Suman Bhawan, common room, canteen. and a large playground. The institution has revolutionized women’s education by fortifying its students, in the cultural and the productive aspects drawing out the best in body, mind and spirit since its inception. Traditions in our campus have become sacred through accumulated traditional practices like regular Chapel which has distinguished it from its kind. Moral and religious preaching in the Chapel caters to all round growth of the students with necessary spiritual buildup.administrative blocks, assembly hall, library, gymnasium, Suman Bhawan, common room, canteen. and a large playground. The institution has revolutionized women’s education by fortifying its students, in the cultural and the productive aspects drawing out the best in body, mind and spirit since its inception. Traditions in our campus have become sacred through accumulated traditional practices like regular Chapel which has distinguished it from its kind. Moral and religious preaching in the Chapel caters to all round growth of the students with necessary spiritual buildup.administrative blocks, assembly hall, library, gymnasium, Suman Bhawan, common room, canteen. and a large playground. The institution has revolutionized women’s education by fortifying its students, in the cultural and the productive aspects drawing out the best in body, mind and spirit since its inception. Traditions in our campus have become sacred through accumulated traditional practices like regular Chapel which has distinguished it from its kind. Moral and religious preaching in the Chapel caters to all round growth of the students with necessary spiritual buildup.administrative blocks, assembly hall, library, gymnasium, Suman Bhawan, common room, canteen. and a large playground. The institution has revolutionized women’s education by fortifying its students, in the cultural and the productive aspects drawing out the best in body, mind and spirit since its inception. Traditions in our campus have become sacred through accumulated traditional practices like regular Chapel which has distinguished it from its kind. Moral and religious preaching in the Chapel caters to all round growth of the students with necessary spiritual buildup. Hawabagh Women‘s College, founded in 1928, stands near the bank of river Narmada with its majestic building and a beautiful campus of natural scenic beauty away from the noisy and polluted environment of the city. The college is administered and maintained by the Methodist Church in India and has acquired its name from its locale “Hawabagh”. The college is the pioneer institute for women’s education in Madhya Pradesh. The foundation of this noble institution was laid when Miss E.L. Clinton who was then the Principal of Johnson Girls‘ School felt the need for English teachers‘ training, and within 10 months with the Government’s recognition opened Hawabagh Teachers‘ Training College with Ms.
computer internet library and sports scholarship facilities bus facilities . Counselling is provided to the students to ease out their tensions, if any, and also to choose the right career depending upon the capacity and ability of the individual. In the recent years the college has witnessed some well known recruitment companies walking-in and being invited for campus placements.